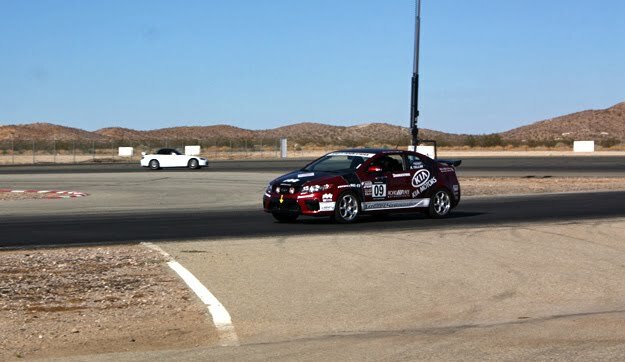 Road Race Motorsports was at Willow Springs Raceway testing a new Kia Forte Koup on the "Streets" track. 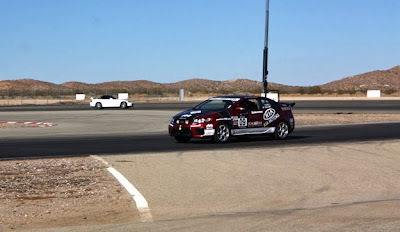 RRM took the Forte Koup supplied, by Rally Innovations and Kia USA, and did extensive track testing of RRM's new product line for the Kia brand. The car was equipped with half a dozen of RRM's performance products including performance sport suspension, strut bars, brakes, and engine performance pieces such as their piggyback ECU, intake, and lightweight pulley system. Also on the car was RRM's low-profile carbon Fiber wing. Road Race's driver and owner, Robert Tallini, did the testing.